She delivered the Chubb address at 4:30pm on Wednesday April 3rd at Levinson Auditorium - Yale Law School. A post-lecture reception with Yale dignitaries and special guests took place at the Head of College House in Timothy Dwight College. A formal dinner with university students followed in the Timothy Dwight College dining hall. 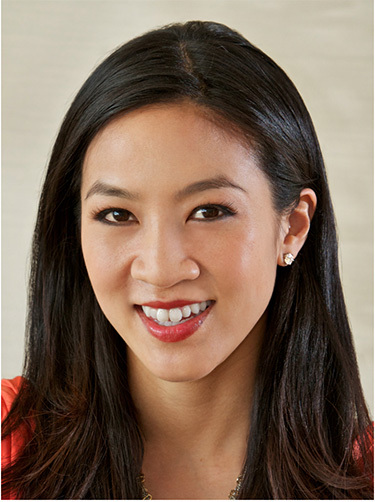 We are deeply honored to have Michelle Kwan come to campus this fall. Born and raised in California, she dominated the sport of figure skating like no other U.S. skater. From 1995 to 2005, she won an unprecedented 43 championships, including five World Championships, eight consecutive and nine overall U.S. National Championships and two Olympic medals. In the nearly 100-year history of U.S. figure skating, no American man or woman has won more world titles, national titles, or Olympic medals. The U.S. Olympic Committee and many others have celebrated Ms. Kwan for her athletic accomplishments and sportsmanship: In 2003 U.S. Olympic Committee (USOC) Sports Woman of the Year; 2001 Sullivan Award as the top amateur athlete in America; 1998 Sportswoman of the Year by the Women’s Sports Foundation; 2002 and 2003 Kids’ Choice Award and the 2002 Teen Choice Award as America’s favorite female athlete. In 2003 Ms. Kwan earned her seventh U.S. Figure Skating Skater of the Year award and remains the only skater to have won the award more than once. In an unprecedented move, U.S. Figure Skating renamed the award in her honor. It is now called the Michelle Kwan Trophy. Off the ice, Ms. Kwan has demonstrated the important role athletes can play in the world of public diplomacy, furthering opportunities for international cultural dialogue and exchange. In 2006, Secretary of State Condoleeza Rice named Ms. Kwan America’s first Public Diplomacy Envoy and Senior Advisor at the U.S. Department of State, working with the Bureau of Educational and Cultural Affairs. She traveled the world meeting with young people to speak about leadership and to engage them in dialogue on social and educational issues. She continued that position under President Barak Obama and was also appointed to the President’s Council on Fitness, Sports and Nutrition. Also in 2010, Ms. Kwan was elected to the Board of Directors of Special Olympics International, the organization’s ultimate governing authority responsible for global affairs and strategies. In 2011 she was named adviser to the U.S.-China Women’s Leadership Exchange and Dialogue (Women-LEAD). Since then she has been involved in a variety of public service and political campaigns including but not limited to the Clinton Presidential campaign and recent mid-term elections. To further her work in the area of diplomacy, Ms. Kwan graduated from the University of Denver in November 2008 with a Bachelor of Arts in International Studies. In May 2011, she received a master’s degree from the Fletcher School of Law and Diplomacy at Tufts University, majoring in International Relations. Ms. Kwan has continued to earn numerous awards and honors, including. In May 2010, she received an honorary Doctor of Humane Letters from Southern Vermont College. In January 2012, Michelle was inducted into the U.S. Figure Skating Hall of Fame, the highest honor in U.S. figure skating. In March 2012, Michelle was elected to the World Figure Skating Hall of Fame, the only member of the Class of 2012. That same year, she was selected by ESPN as one of the 40 greatest female athletes of the past 40 years. In 2017, she received an honorary Doctor of Humane Letters from Salve Regina University and an honorary degree from Smith College. We are deeply honored to have such a distinguished athlete and international leader join the impressive list of Chubb Fellows who have visited Timothy Dwight College. Michelle Kwan, Chubb Fellow - Spring 2019 was the honored guest of the Chubb Fellowship and Timothy Dwight College at Levinson Auditorium in Yale Law School. A large crowd was in attendance as Ms. Kwan talked with Timothy Dwight Head of College, Mary Lui, about her remarkable career as a figure skater as well as her public diplomacy experiences.